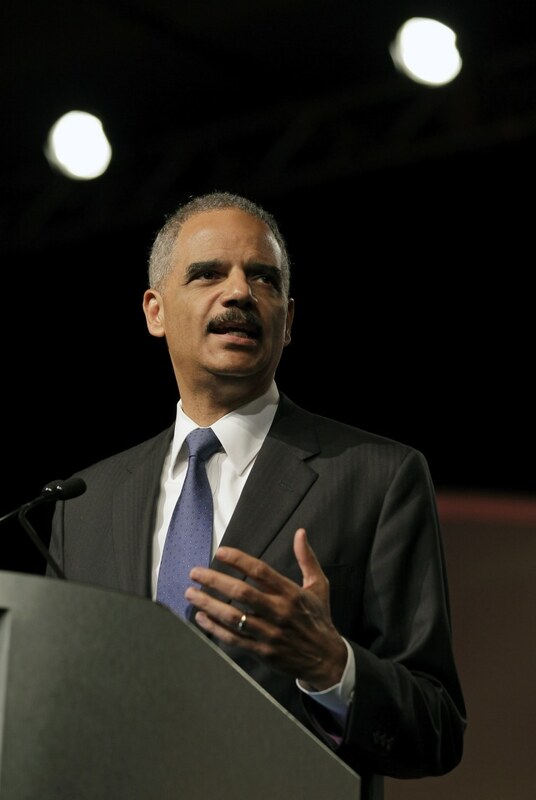 The National Democratic Redistricting Committee, led by former Attorney General Eric Holder, is putting another $250,000 into Virginia governor’s race. WASHINGTON — A Democratic group led by former Attorney General Eric Holder is pumping another $250,000 into the Virginia governor's race, which, with two weeks left, is widely seen as the most important election of the year. The funds bring total spending in the race to $1 million by the group, the National Democratic Redistricting Committee, which was established this year when former President Barack Obama tapped Holder to coordinate Democrats' redistricting efforts ahead of the 2020 Census. Virginia, one of the most gerrymandered states in the country, is central to the party's plan to draw more favorable congressional districts, and the governor's race is its first big test. Democrat Ralph Northam is hoping to keep the Governor's Mansion in the party's hands against Republican Ed Gillespie in the Nov. 7 election, viewed as the first real electoral bellwether of the Donald Trump presidency. Northam has maintained a narrow lead in polling averages, and both sides predict a close race. The NDRC teamed up with Acronym, a new digital-first political organization run by former Obama adminitration officials, for the new ad, which targets minorities and young voters, since they often turn out in lower numbers during elections when the presidency is not at stake. Holder provides the narration for the digital ad urging votes to "show up," saying, “The history of this country is shaped by the people who show up for it," as images play of 1960s civil rights marches and contemporary anti-Trump demonstrations. "For Democrats to win in incredibly close, nonpresidential elections, we have to talk to people we don't usually talk to, reach them where we don't always reach them, and communicate to them in a way that they will notice," said Acronym CEO Tara McGowan. Race has become a major undertone in Virginia since the Charlottesville demonstrations, with Trump tweeting Thursday that Gillespie will help "save our great statues/heritage," referring to Confederate monuments, and Northam’s campaign sending a controversial mailer tying Gillespie to white supremacists.